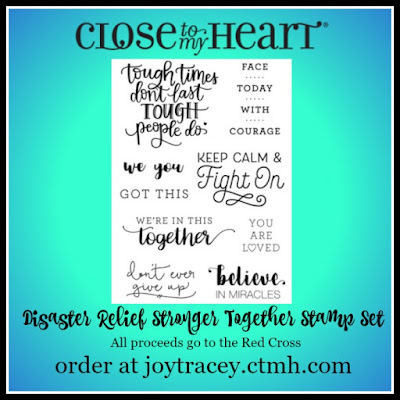 Close to My Heart has created a disaster relief stamp set "Stronger Together" to help all those affected by the disasters and hurricanes of late. The proceeds from the Stronger Together stamp set will go to the Red Cross since they handle many disasters. My commission for this set also goes to the Red Cross - it's Close to My Heart's way to insure they can donate as much as possible. I grew up in Miami, lived in both Ft. Lauderdale and Tampa, as well as being a Texas resident now, so you can believe disaster relief is extremely important to me. My prayers are going out to everyone affected by these disasters, as well as all those affected by the fires in the West. It's a very difficult time. 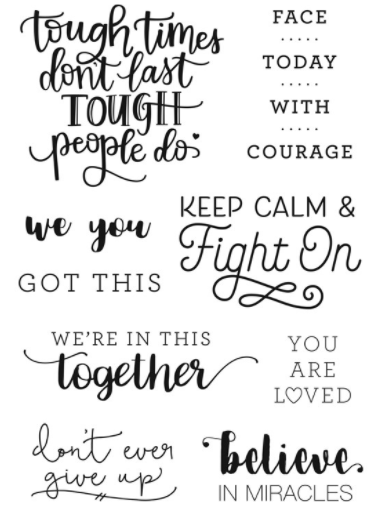 You can get your "Stronger Together" stamp set HERE!